Progress marches on! The wheels of commerce and trade will not be stopped! Better get out of the way! NorTec is setting their sights on another planet rich in Xenosathem and they're not afraid to send wave after wave of troops in order to get it out of there. Wait. Wave after wave? Troops? It's not going to be as easy as, "land on planet. Extract Ore. Profit" is it? Oh heck no it isn't. 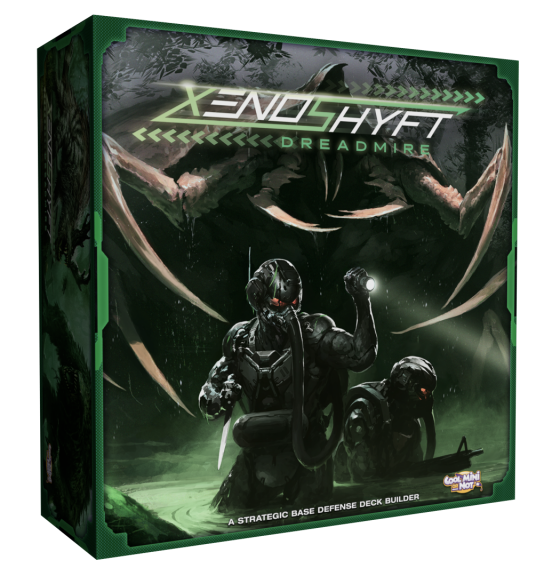 Dreadmire, the next expansion for Xenoshyft will be hitting Kickstarter in just under a week. Dreadmire is the first expansion that can be played entirely separately from the original base game. Of course, if you want to mix it with the other cards that have already been released, you can certainly do that, too. Dreadmire adds in weather effects to the game. Certain monsters (as well as certain pieces of equipment and soldiers) get better or worse depending on what the weather's like outside. So be sure to bring your raincoat. 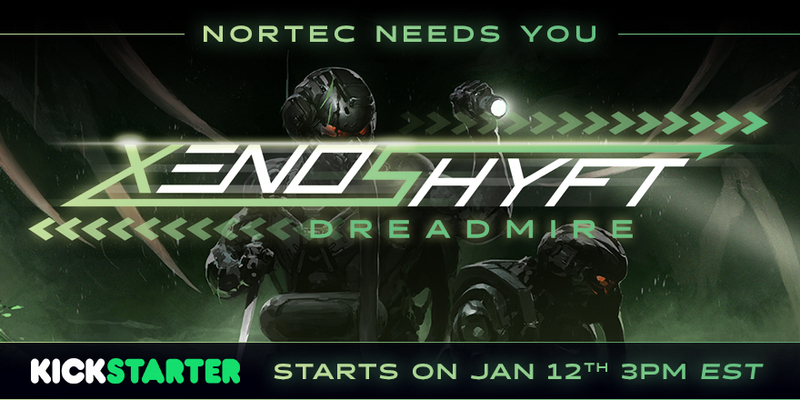 The campaign will go live on January 12th at 3pm, Eastern. Be sure to set your alarm.